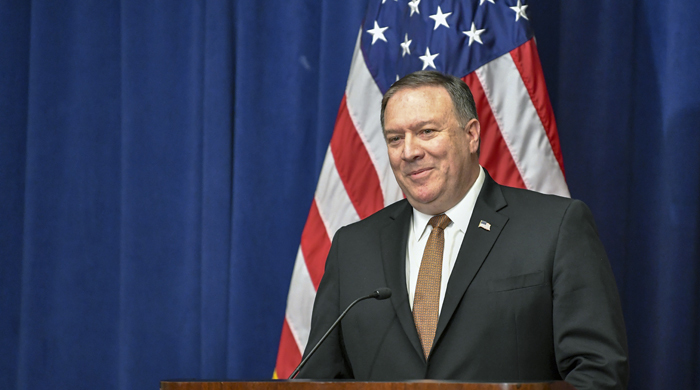 U.S. Secretary of State Mike Pompeo holds a press conference on the outcome of a meeting with North Korea’s Vice Chairman of the Central Committee of the Worker’s Party of Korea Kim Yong Chol, in New York on May 31. “It will take bold leadership from Chairman Kim Jong-un if we are able to seize this once-in-a-lifetime opportunity to change the course for the world. President Trump and I believe Chairman Kim is the kind of leader who can make those kinds of decisions,” he said. 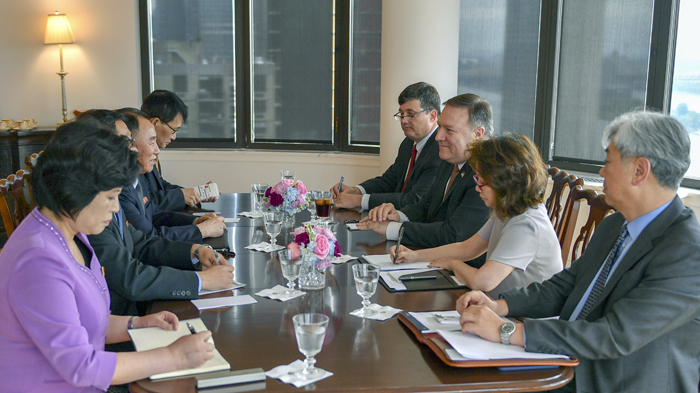 U.S. Secretary of State Mike Pompeo (third from right) and North Korea’s Vice Chairman of the Central Committee of the Worker’s Party of Korea Kim Yong Chol (third from left) hold a meeting in New York on May 31. Meanwhile, the vice chairman will travel to Washington, D.C., on June 1 to deliver a personal letter from Chairman Kim to President Trump.